Recently I came across a brand new, very fresh audio forum. Just recently, within the structures of a certain discussion forum, one that focused and gathered on audiophiles and audio DIY lovers, a fairly wide spread rebellion broke loose amongst the users of the forum. This in itself may not be a sensation per se, but actually, such a thing happens very rarely. Typically, one disappointed user or other leaves or simply ceases to visit a specific forum, but a rebellion of multiple tens of users does not happen every day. Users had grievances about the lack of transparency within the decisions and rulings of the moderators, based solely upon their individual discretion, and their specific biased attitudes and reaction aiming at promoting only their own colleagues. The forum is commercial, so basically anything that is done over there is done at the silent acceptance of its owners and organizers. Their free will. The forum shall keep on operating, but without substantial users attending, there is little worth within such a forum. Since the administration responded to that rebellion in the old style, post communist, typical and arrogant “Jerzy Urban” style ( ,,, ” The Government shall manage to feed itself ” … ), the rebellious users have decided to join forces, and constitute their own forum. 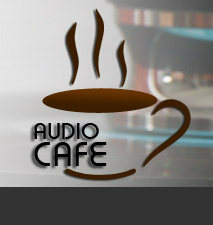 So they constituted themselves under the name: Audio Cafe. A place where you can discuss the above-mentioned audio topics in a friendly atmosphere. There, they now talk about their own hobbies, but without avoiding difficult and controversial topics. It is a place that is a non-commercial initiative, one that is free from any unclear influences and stakeholder pressures. But above all and foremost, they all wanted it to be a place, where clear rules shall apply equally to all. Equal rules for each and every one of them attending. Because a large part of the initiative supporters have a “thing” with analogue audio sources, there is from the outset already a lot of interesting information pertaining to turntables, cartridges, preamplifiers, etc. But there are also certain sections pertaining to the Digital Audio and DIY domains. The Forum shall strive to attract lovers of audio equipment, regardless of their financial standing and condition. As of today, there is already a fair share of renown gurus, famous people, from the whereabouts of the World of Audio. Actually, I have already registered.